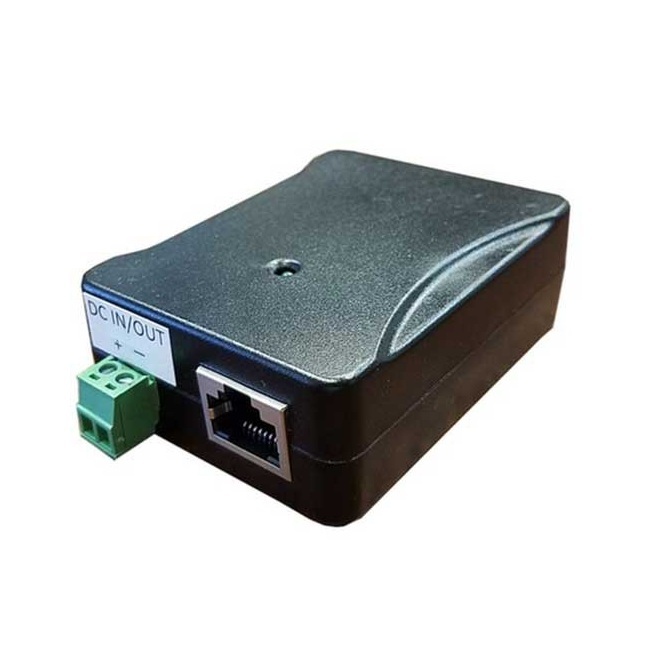 The POE-INJ-1000-WT is a shielded passive PoE inserter / splitter that are compatible with data speed up to 1 Gigabit. The DC connector is a removable wire terminal type power connector. The RJ45 connectors are shielded to ensure continuous shielding from power source to destination device. Power is supplied on all 8 Ethernet pins (4 Pair), allowing for transport of up to 130W over a single CAT5/6 wire up to 100m.